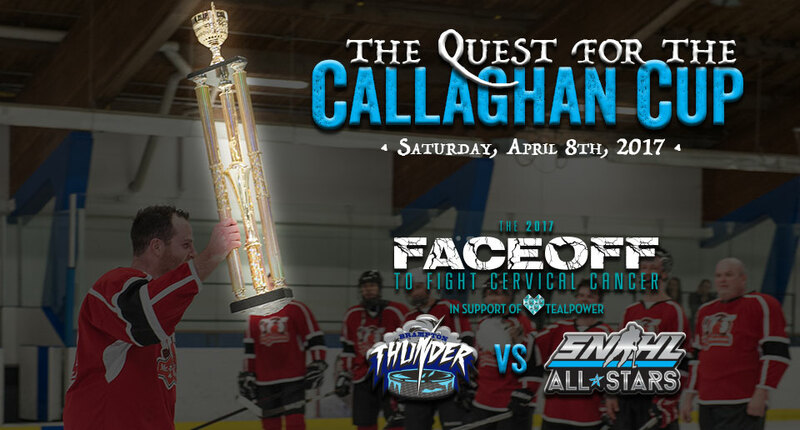 We Are Creative Inc. and Sports Marketing All Stars are proud to announce that we are back for a 2nd year, as we present another fun night of double-header hockey action for the Caledon community, while we raise money and awareness for cervical cancer! Once again, it’s GIRLS vs GUYS as the CWHL‘s Brampton Thunder look to avenge their loss from last year against our Sunday Night Hockey League All Stars, followed by our SNHL Callaghan Cup Championship, and our Year End Celebration. In person at: We Are Creative Inc.